Phnom Penh is Cambodia’s capital city, but Siem Reap is the country’s capital of tourism and culture. The city is home to the ancient temples of Angkor Wat and is the commercial hub of northern Cambodia and the surrounding section of the Mekong Delta. While Angkor Archeological Park is worth at least a visit, there are plenty of things to do in Siem Reap beyond the temples. The city’s signature pagodas and mellow vibe stand in stark contrast to Southeast Asia’s bustling urban hubs, but that doesn’t mean big city convenience and urban culture are missing. This small city of just under 200,000 is alive and booming. Here’s a rundown of where to go and what to see without ever stepping foot in a temple. The city’s vibrant nightlife thrives on Pub Street. Tourism in Cambodia is booming, rising more than 12 percent last year according to the Phnom Penh Post. Much of that traffic comes from backpackers doing the rounds through Southeast Asia, and once the backpacks are safely locked in hostels, that crowd tends to get thirsty. 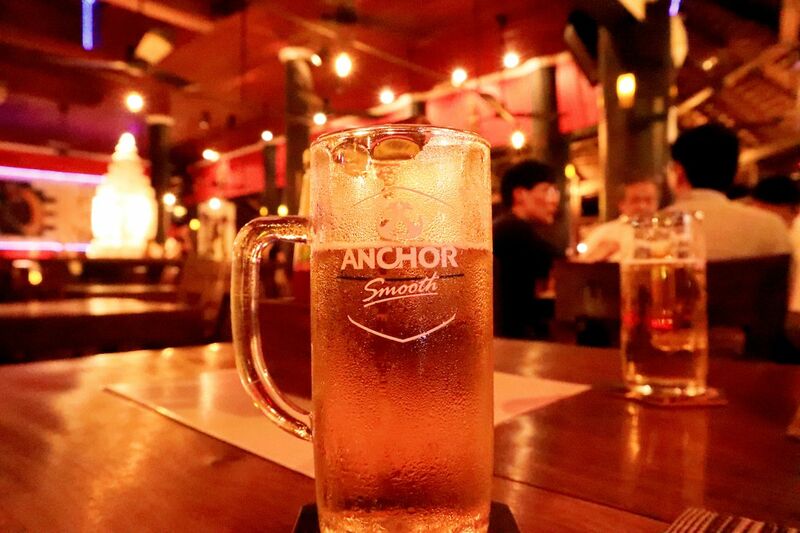 Siem Reap’s appropriately named Pub Street is where the masses head to quench that thirst. During the day, Pub Street is lined with restaurants and cafés, most of which are extremely overpriced with mediocre food. 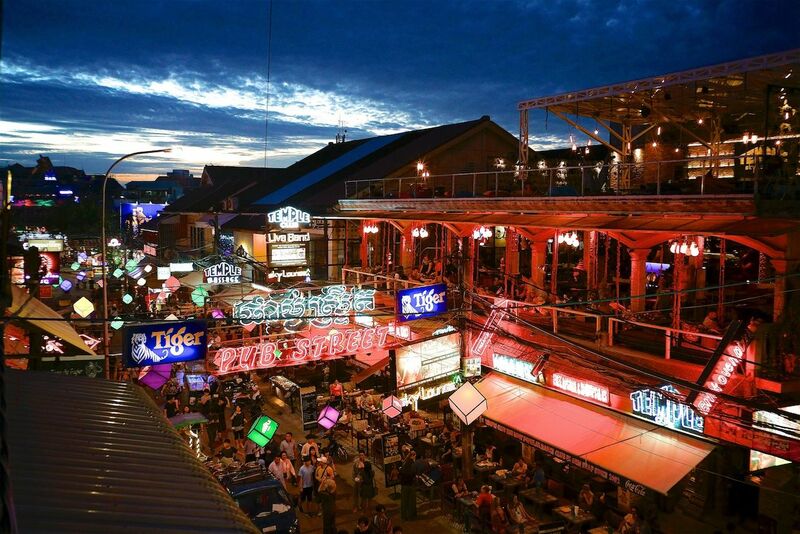 But at night, the street transforms into a backpacker’s haven of loud music, crowded bars, and 50 cent beer. Temple Club and Yolo Bar blast cheesy pop hits and cater to pub crawls from the nearby hostels, standing as the center of the city’s late-night scene. Should the animalistic ways of backpackers on booze not be your scene, make your way to the end of Pub Street to X Bar. Grab a cheap cocktail at the bar, then make your way to the rooftop half-pipe for perhaps the greatest view of Siem Reap’s downtown and a little break from the craziness down below. The music is often better than the typical Pub Street mix, and the bar is frequented by expats and locals as well as tourists. If you’re craving Mexican food — admittedly an odd craving to have upon landing in Southeast Asia — Viva Restaurant on the opposite corner from the Old Market is a great place to sip on a $1.50 margarita and tacos for the same price. Some of the best people watching is available from Viva’s outdoor seats. For live music, stop by Beatnik downtown or check out The Harbour for open mic night and delicious house spiced rum. Both are frequented by an interesting mix of expats, locals, and tourists and will give you a good sense of life in town. The Siem Reap experience stretches across town — and beyond. Nature lovers can take a trip to the lotus farms of Phnom Krom. A roundtrip tuk-tuk ride costs about $16 and gives you a taste of the lush countryside just outside the city limits. 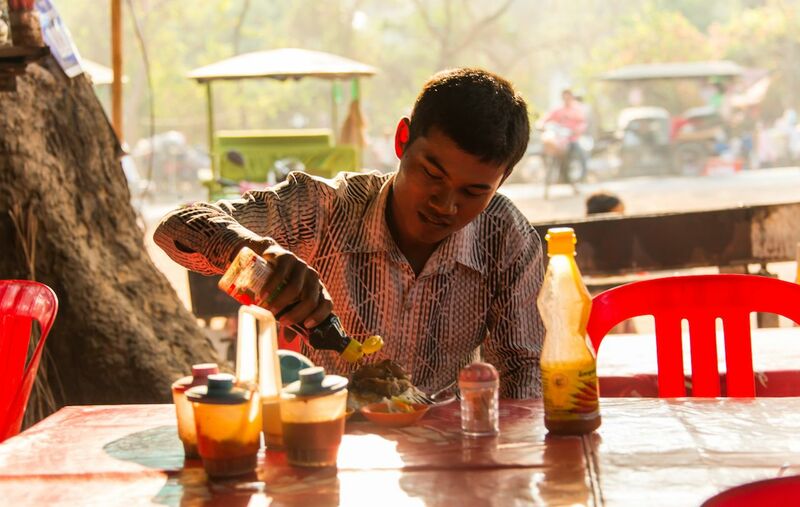 Stop at little huts on the lotus farms for a bite to eat in a relaxing setting, then make your way to the little mountain Phnom Krom for the best sunset views and a temple that actually predates Angkor Wat. 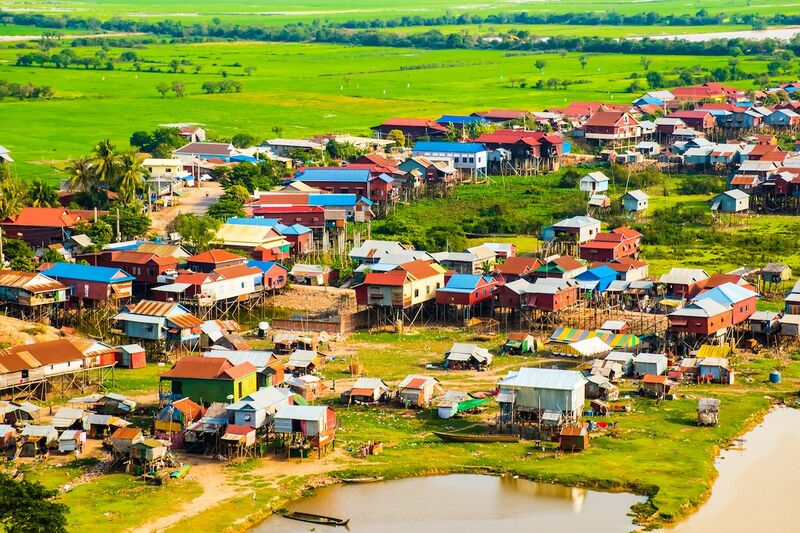 From there, it’s a short jaunt to Tonle Sap Lake, the country’s largest and home to the famed floating villages. For between $30 and $50, you can hire a guide to tour you out to see a floating village. The ride out and back passes rich rice fields and offers a taste of rural Cambodian life. If you’re in the mood for a show, be sure to check out Phare Circus. This mixture of impeccable storytelling and acrobatics inside a small tent is entertaining, with plenty of local history and tradition thrown in. 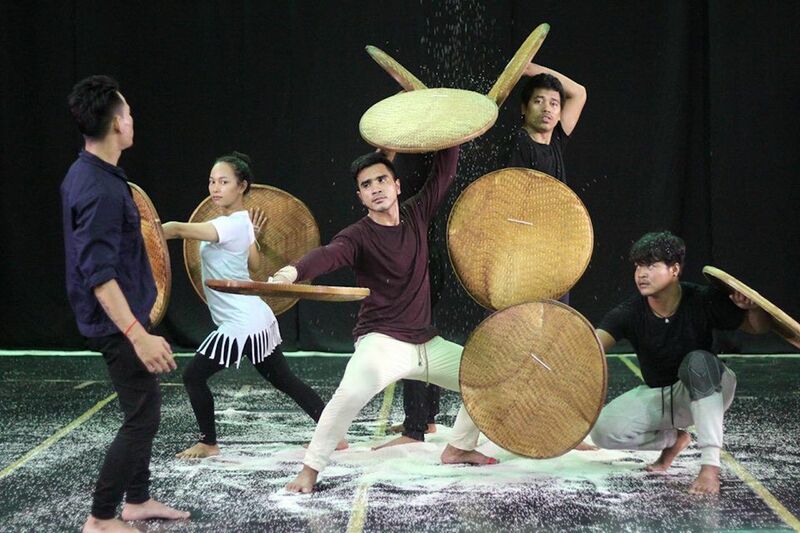 In addition, the ticket revenue goes to support an NGO based in Battambang that takes kids from the street and trains them in the performing arts, and most of the Phare performers you’ll see flipping and twirling onstage in Siem Reap actually started there. Phare is the best way to blend entertainment and a positive impact in Siem Reap. For the mini-golf enthusiasts, Angkor Wat Putt is just a short tuk-tuk ride through the countryside from the center of town. This temple-themed course is challenging, but free beer awaits those lucky — or skilled — enough to score a hole-in-one. Even if mini-golf isn’t your vision of the ultimate day out, the course is a fun trek through the country’s top attractions. Check out the markets and chow down on Cambodian food. Many tourists head to Angkor to watch the sunrise. But the local experience happens on the other side of the day. As soon as the sun sets, hop in a tuk-tuk and head to Road 60 where the ticket office for Angkor Wat is. A local market pops up at around 6:00 PM each evening, with plenty of delicious street eats, carnival games, and stands selling trinkets, household items, clothing, and shoes. There’s not a better place in town to feel like the only foreigner around. 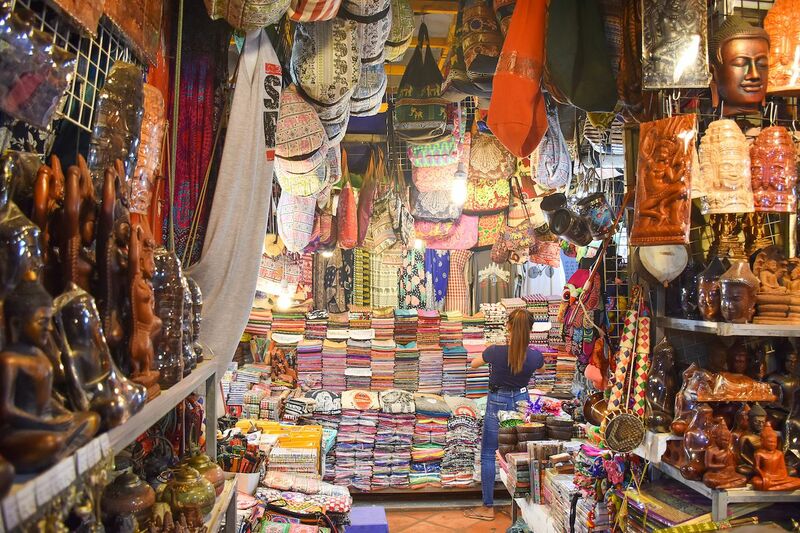 Markets happen in town, as well, and a walk through the Old Market or Phsar Leu Market is the best way to experience the crafts and creations of local residents. Treat yourself to a night of tasting street food along the river. Try the amok, steamed pork buns, and most importantly of all lok lak. This dish is iconic in Cambodia and consists of cubed beef squares cooked with tomato, onion, pepper, and cucumber, heavy on the soy sauce and often accompanied by whole leaves of lettuce — a simple but rich dish sure to leave a taste of the Mekong in your memories of Siem Reap.